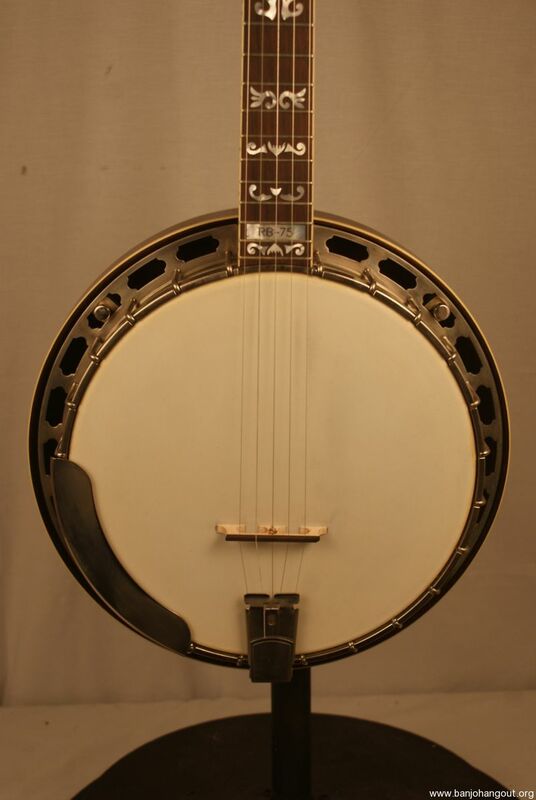 All original Yates RB75 5 string Banjo. This is mahogany with nickel hardware. 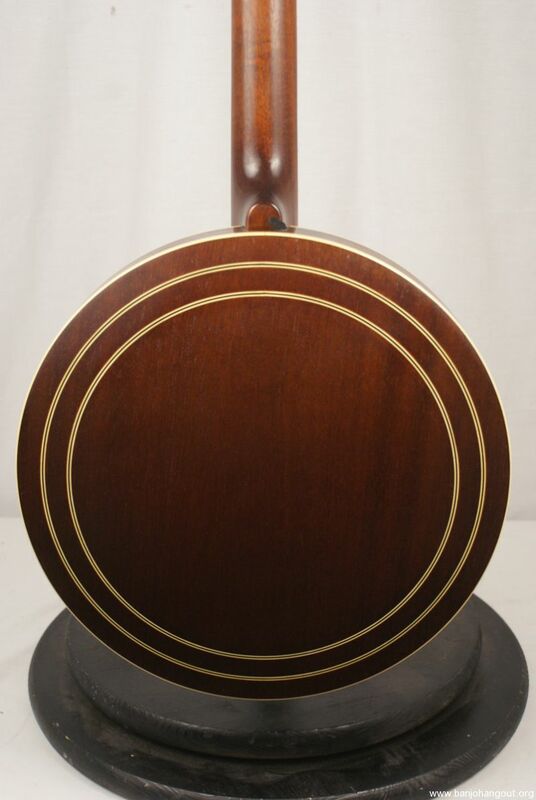 The neck is also mahogany with a rosewood fretboard. The fretboard has a flying eagle inlay pattern. 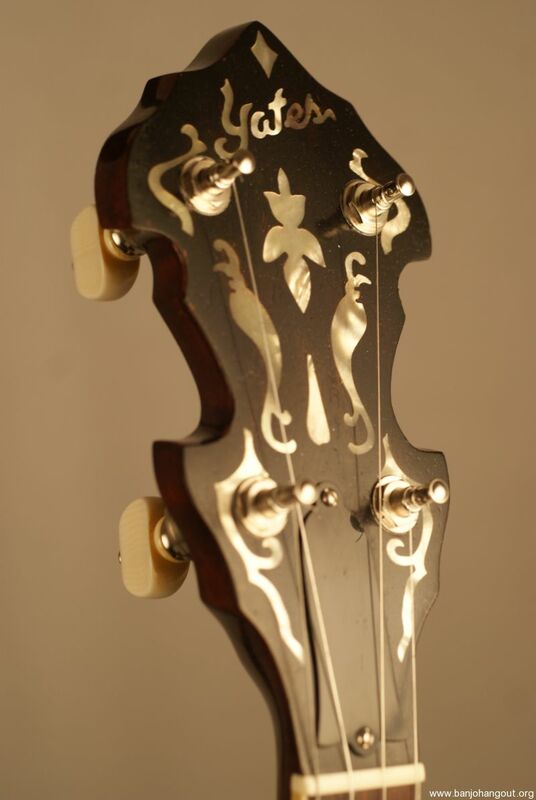 The headstock is also inlaid with Yates and a beautiful inlay pattern. There is white binding on each side of the neck and resonator. This is all original and has been aged or relicd by Warren Yates. 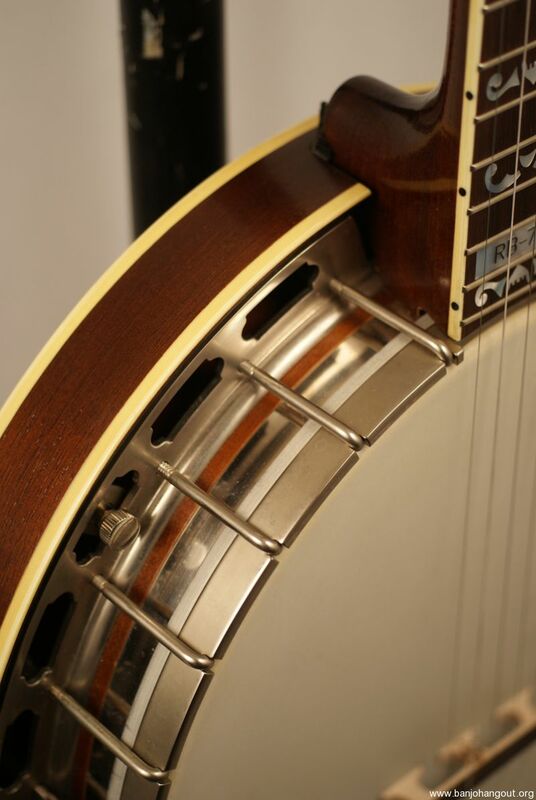 This gives the banjo an authentic vintage look. This is a relic so there is wear that was put there intentionally. 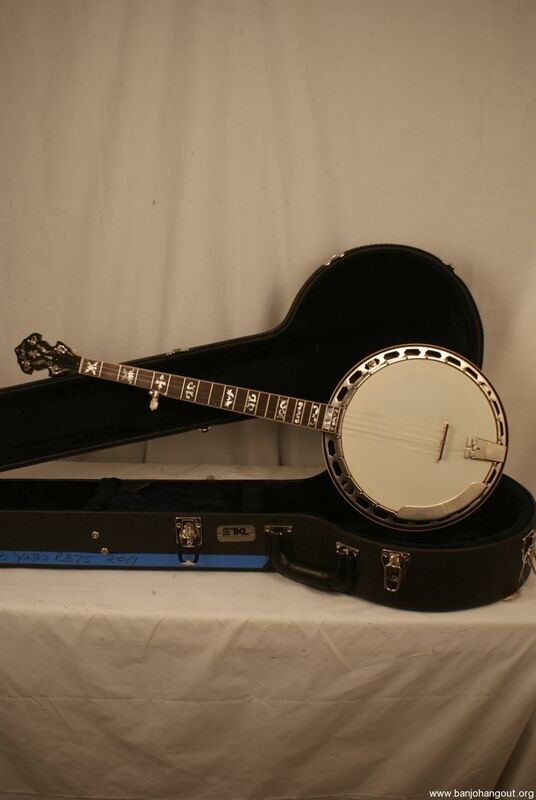 The banjo is in excellent original condition. This wasn’t a particularly serious relic job so it is in good condition even with the relic job. The finish looks really good and the hardware is also in great shape. The neck is straight and the fretboard is clean. The frets are in clean condition and hardly look touched. There are spikes in the 7th-9th frets. The case is a TKL hardshell case which is also in great shape. This is clean, set up and plays and sounds incredible. This ad will automatically expire 3/19/2019 2:50:23 PM unless updated before that date. To keep the system current, ads expire if not updated for more than 60 days.